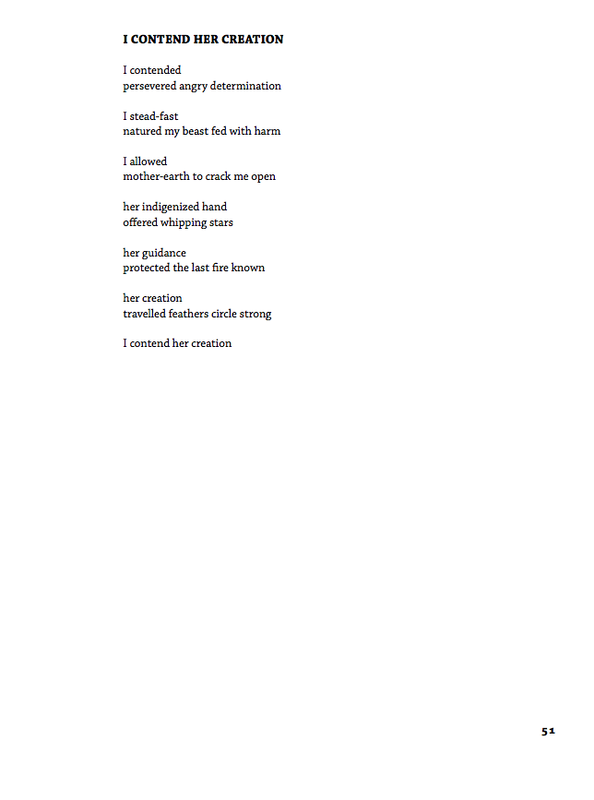 This poem is the first poem I am premiering on this blog. This, for me, is a profound piece and I put it out in the world to tell my daughter that I am proud of her; life can be tough but we have to keep smiling and be our authentic self. This is about my Daughter Madisson. A girl who is so much like her father. Every other poem on this blog was previously published. This is a big deal. S take the time to have a read. This poem was read at the artivism Men Resisting Violence Against Women event in 2012. Today after receiving a lot of defamatory, degrading and threatening emails and posts in the cyber-sphere, in response to my latest blogs, I re-visit this poem and share with you. This poem reflects what is happening in the Black Metal and white supremacist online forums which utters threats and saying cruel things about me; which is nothing but expected. I lived in that prison of self deceptive loathing far to long in my life. I understand their hatred well. I have been free from those shackles for many years. For me, this poem is important, but more importantly my motivation for posting this is to encourage others to not engage in bullying. Now about this piece, it manifested during a social work class I was taking. A fellow classmate who was saying derogatory things about me when I walked into the room. He was going off about my critical analysis of structural issues relating to racism, social policy and social work. For whatever reason, unbeknownst to me, he obviously takes a major issue with who I am and the way I articulate myself about how social work and MCFD operates on delegated authority through racist social policy (Indian Act and CFCSA); nonetheless, people do as people do. This situation sparked the inspiration for this poem.I often refer to gossip as being social warfare. Gossip hurts. I have participated in gossip in the past, and I have been hurt by gossip. I have defined what gossip is. Now I consciously do my utmost to not participate, nor to allow gossip to transpire around me. When people gossip in front of me at school, work or other situations I will either name it or disengage with discussions and people. My blog does not consist as gossip due to the literal meaning of the word “gossip”. For me gossip is identified when a person engages in personal discussions about another person’s life, behaviour and situation in a manner that is not transparent. Often ‘behind their back’. I find, that gossipers usually have something to hide. It is my opinion that this is because the person partaking in gossip is displacing energy that assists in deflecting and displacing, while projecting, their own issues. Gossip is often shielded by secrecy. Intentions of the gossiper are anything but compassionate. Gossip can include truth. In situations, like the one that inspired this poem, the person (me) being gossiped about is under attack for not conforming to a particular social norm. Scapegoats are often people who do not fit into little social boxes. I knew in that moment, along with another instance that I had to separate myself from this individual. These social dynamics are toxic and utterly hurtful. I believe that gossip is about gaining social power over others who, for whatever reason, are perceived threats to the gossiper. It is unfortunate that in a social work program with grown adults, over the age of 30, that these individuals feel the need to engage with this type of oppressive violent behaviour. Gossip is violent. Gossip is personal. I understand that I have opened myself up to many things to be said about me both good and bad throughout the postings in this blog. I am ok with being verbally attacked by people whom are engaged with the social circles and people mentioned in the previous posts. I hope to participate in sharing and relating with others. 23 years ago 14 women were killed in a community learning institution. They were killed by Marc Lepine, a right wing extremist. He believed feminists were contaminating our society. He adhered to NAZI ideology and is said to have other religious affiliations. The 14 women who were killed were: Geneviève Bergeron, Hélène Colgan, Nathalie Croteau, Barbara Daigneault, Anne-Marie Edward, Maud Haviernick, Maryse Laganière, Maryse Leclair, Anne-Marie Lemay, Sonia Pelletier, Michèle Richard, Annie St-Arneault,Annie Turcotte and Barbara Klucznik-Widajewicz. Nonetheless, today I recall these women. I recall my mother as well. She was beat and raped by my right wing blue collar prick, first, step dad. My life of hate began as a boy. From incidents of child abuse, to life on the streets. The east side of Vancouver was a breeding ground for violence and hate. Hate which I carried for many years to come. I left the street life behind while an organized crime group, which led me to a darker path, employed me. In the mid-nineties, I moved away from Vancouver after nearly becoming the first person charged with a hate crime in British Columbia (BC). I retreated to northeast BC, the beautiful Peace River district, I carried a network of hate and violence with me. Bridging western hate networks from the south, to the east, and to the north. I had introduced many youth to extremist groups, and doctrine, contributing to fueling their hearts with hatred. Including a northern BC man who is now in prison after multiple convictions for explosives. Peter Houston. All in the name of hate. Extreme hatred. There were three major events in my life that transpired and initiated my process of liberation—freedom from the life of hate. First, was the birth of my last child, my son. All of my previous children were girls. Though I tried to love each and every one of them, I was unable to reach inside of myself to a depth that permitted true love and humanistic connection: the girls were fatherless. I was detached with anger, hate, and rage. The day my son was born, August 11, 2001, a profound realization came; I had been creating a world filled with pain and violence for my children. This boy, my saviour son, was born into my reality. I wanted to protect him from the pain ahead. He was not going to endure a childhood of abuse, like I did. His tiny body was a reflection of my being. He was my mirrored child, representative of my rebirth. I wanted to protect him. I wanted to protect myself. If I did not change my hateful ways and my addiction to drugs, alcohol, and violence; then my son would surely be led down a similar path. I did not want to be responsible for destroying a little boy, as had been done to me. I felt like I was damaged and destroyed. Worthless. I did not want to live in an abusive world any longer. I hated life and all of the pain I endured. I had dreamed of a good life for my children, but the path to achieve these dreams was not apparent. Surely my path would destroy my son, and daughters. After seeing myself reflected in my son’s tiny body, my last ultra-violent incident occurred. I beat an aboriginal man with a hatchet. For the first time I felt a guilt that I had never experienced before. There was no alternative but to turn myself in. Once again, for a moment, I knew this life of hate could not continue. It was shortly after this that my second epiphany came to fruition. Presented with childhood flashbacks of repressed memories the term crisis became very apparent. I had never gone through something so torturous, as when I had experienced those memories that revealed horrific scenes from my childhood. In hindsight those memories were a metaphysical breath offered to my inner-being, awakening my spirit which had been drowned in hate. A breath that led to a path of redemption. The third epiphany was the 9-11 tragedy. I was convinced that a race war was about to erupt, believing that the twin towers were the world’s most powerful financial institution, which was operated and controlled by Zionists. Engaging in preparation for the race war, I watched the towers crumble, I ensured that all the weapons I had cached in the hills were loaded and operational. Gathering enough provisions and weaponry for a small army, I informed my trusted friends to prepare for the racial holy war also. As the information came out that 9-11 was not the work of white supremacists, my compatriots and I were horribly disappointed. Discouraged, I began to question our collective dedication to a race war. I spoke with my peers in the network of hate leadership, and all seemed to be avoiding a prime opportunity for war. This was the first epiphany for my exit: the ‘movement’ was a fallacy. For the next several years a process of change led to a pathway of liberation. But before freedom, there were feelings of being shattered and hopeless. I finally quit drugs and alcohol. After a few months of self-harm and fighting with others, while sober, a decision was made to seek help. I attended a men’s residential addiction treatment center. After a couple of months I was prepared to leave the treatment program. A counselor made a suggestion to me for my continued path of hope and recovery from a life of hate. He informed me that he saw my intelligence, but there was still a problem. I was filled with hate and right-wing-extremist doctrine. He suggested a route to recovery that involved attending a social work school program. My counselor said that social work education could challenge my belief structure in a logical manner. I followed his suggestions, as there were no other viable options for my healing, then began college with a grade seven education. This initiated my life-after-hate. In 2012, I graduated from the University of Northern British Columbia (UNBC) with a degree in First Nations Studies (Indigenous Studies), then started working on a Master’s degree in social work. As a successful anti-racist activist, my work includes having initiated several interventions, including exposing a white supremacist bombing, preventing hate group recruitment, and facilitating presentations to youth, professionals, post-secondary institutions, law enforcement and public events that educate people about racism, hate groups, and the realistic threat of right wing extremism in western Canada. As well, the racism we see from extremists is merely a reflection from the larger social consciousness. I have completed several manuscripts of poetry that outline aspects of my journey. Writing saved my life. Ever since the age of fourteen, my writing has been my lifeline. My first manuscript is offered to honor those who have helped me on my healing path: academics, professionals, community members, the red road, twelve step groups, and my fellow global citizens. My first publication has been done in an editing partnership with my writing mentor. Aboriginal poet Garry Gottfriedson, has helped me to sharpen my poetic voice, in order to tell my story. In my professional life I have worked as an addictions counselor, group home manager, researcher, and child advocate. I have many more roles in the community that are fulfilled on this travelled path of social justice. I do this work to respect all human life in a network of hope, diversity, and compassion. I consider myself, and my path, a miracle to have the opportunity to live this life-after-hate. This poem was Printed in the Prairie Journal: A Magazine of Canadian Literature no. 58, 2012. I wrote this poem when I was 16 years old in a juvenile detention centre. I had served a two year sentence from ages 15-17 years old. Although I had already been on my own for quite sometime I always missed my little brother. In order to break things up and to keep this blog focussed on the spirit of my healing journey, I offer you this poem in balance of the coming five-part-blog-series. This poem was published in the West Coast Line no. 72, 2012.